Marketplaces and prices shown matched UPC number 010343937550 during our search. Fast scan speeds: up to 35 ppm/70 ipm ; 1-pass duplex scanning. Industry-leading service and support: 3-year limited warranty with Advance Exchange program, including free Next-Business-Day shipping . Easily scan stacks of documents: 50-page Auto Document Feeder . Wireless Network Ready Scan to your smartphone, tablet or computer using a wireless network. Fast scan speeds, from a leader in image capturing technology - up to 35 ppm/70 ipm1; 1-pass duplex scanning Scan wirelessly - easily scan critical documents to your smartphone, tablet, PC or Mac, or online storage account2 Seamless compatibility with document management systems - includes TWAIN and ISIS drivers for easy integration with existing software Designed for dependability - enhanced features include Slow Speed Mode, programmable jobs and a peak daily duty cycle of up to 4,000 sheets3 Industry-leading service and support - 3-year limited warranty with Advance Exchange program, including free Next-Business-Day shipping4 Scan to online storage accounts2 - scan to Dropbox, Evernote, SharePoint and Google Drive with Epson Document Capture software Generate searchable and editable files - scan to editable Word and Excel files or searchable PDF files; OCR software included Easily scan stacks of documents - 50-page Auto Document Feeder (ADF) Versatile paper handling - scan stacks of business and ID cards, single sheets and folded pages up to 11" x 17"5 World-class reliability - Dynamic Skew Correction and Double-feed Detection to prevent missing pages Eco Features RoHS compliant Recyclable product6 Epson America, Inc. is a SmartWaySM Transport Partner7 Better Products for a Better Future For more information on Epson's environmental programs, go to www.epson.com/environment. 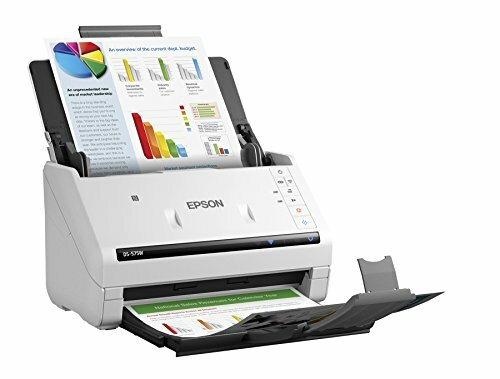 Epson DS-575W Wireless Color Document Scanner. The fast, wireless color scanner for efficient document management.Wirelessly scan to smartphones or the cloud up to 35 ppm/70 ipm. TWAIN/ISIS drivers, peak duty cycle up to 4,000 sheets/day and 3 yr. limited warranty. Document scanner gives fast-paced businesses the solutions they need for more efficient document management. Wirelessly scan critical documents to smartphones tablets or online storage accounts. 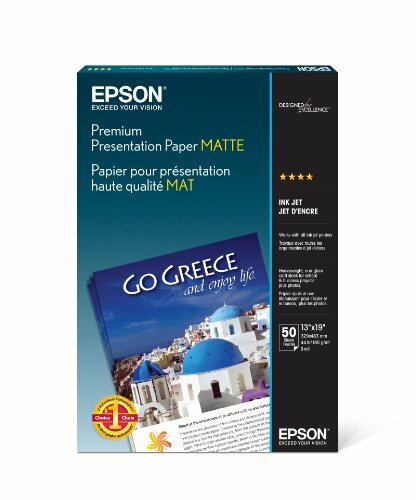 Quickly scan stacks of pages via the 50-sheet ADF. Easy integration with existing software while a peak daily duty cycle up to 4000 sheets. Paper size Minimum - 2 x 2 in.